So it’s been a while since I last updated, the reason for that being I got very sick out of the blue for several weeks. I got tests done but they all came back normal. It was a very perplexing and distressing time! My doctor told me it was just due to stress (but er, who doesn’t have stress?). Needless to say I’ve had to take it a bit easier lately…! Still, that didn’t stop me from geeking out majorly at Supanova Expo in Melbourne last month. I met my absolutable most favourite Doctor Who companion, Freema Agyeman! 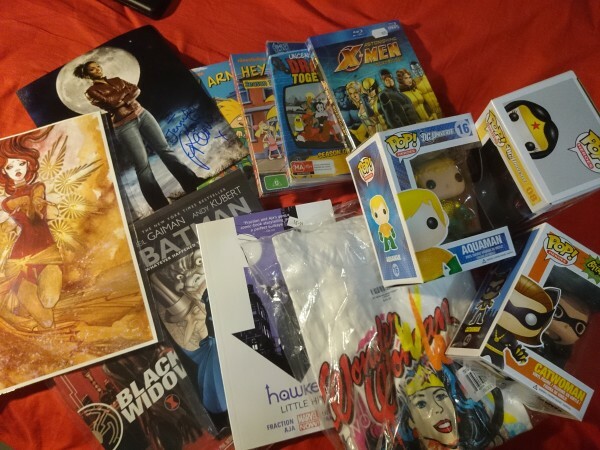 My Supanova stash. Not too shabby, if I do say so myself. The first Saturday of this month was Free Comic Book Day. Always love going to All-Star Comics, and frankly they are the best comic book store in Melbourne. And last Friday, I took the chance to go to Melbourne Central to catch the stars of X-Men: Days of Future Past at the premiere. I was in the same vicinity as Hugh Jackman! Fan Bingbing! Peter Dinklage! Do you get more awesome than that? 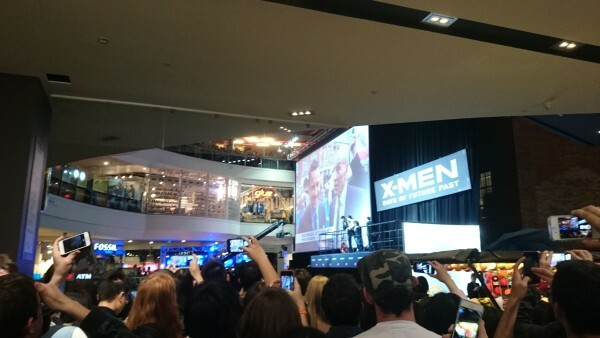 X-MEN Live Premiere at Melbourne Central, Friday 16th May 2014. Topping it off, I went with my designer buddies to see the Dreamworks Animation exhibition at ACMI yesterday. I really enjoyed it. There is definitely a healthier array of sketches, interviews, and props, with some bonus interactivity. It reminded me just how many films I’ve not yet seen! But I ended up going to JB to buy How to Train Your Dragon on blu-ray so I will hopefully watch it in the next day or so. I’ll post a more thorough review of the exhibition this week. Meanwhile I have been working on a very exciting project with Book Thingo that will be unveiling this week. Watch this space for more details!